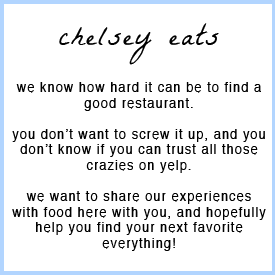 Though the primary goal of this blog is to focus on restaurants near BYU, there are a few places outside of Utah Valley that I feel compelled to share with you. If it's within an hour & a half drive and I think it's awesome or horrible, it's going to show up here! My mom kind of has an obsession with the Food Network, and so when she told me that Guy Fieri came to Salt Lake and raved about this place, I knew we had to go. We ended up planning to go there on the night of our 1st anniversary (yay!) and we loved it so much, that we went back the next day for lunch! Seriously. I don't have pictures of all of the food we've eaten there because well, we've eaten a lot of things there. 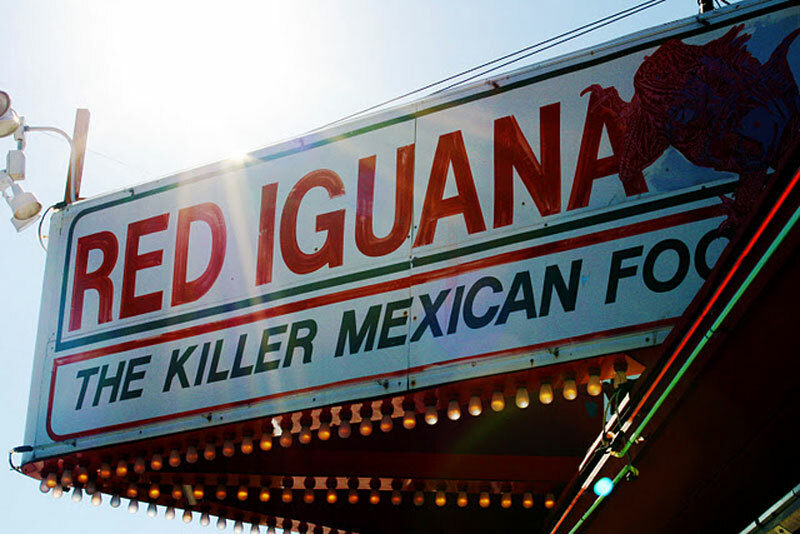 I don't really know how to put it better than this, but...The Red Iguana is THE BEST. If you've never been there and you are a fan of Mexican food at all, do not delay your visit here any longer. The Red Iguana is best known for their complex moles. When you go there (which hopefully will be tomorrow), be sure to ask for a mole sampler plate. On this plate they will dish out a small portion of each of their 7 (8 if you're on a Friday) different moles that you can try with tortilla chips to see what's your favorite. Mole is a Mexican sauce that usually involves Mexican chocolate (though not always) and lots of different spices and ingredients. And it is wonderful. 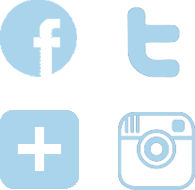 Here are some of the images of their most popular dishes. And let me tell you, these babies are popular for a very good reason. Enchiladas Suizas: Enchiladas with avocados & sour cream with mole poblano and shredded jack cheese. This is exactly how enchiladas should be -- wonderfully flavorful sauce and lots of it, and honestly I could eat this forever. Puntas de Filete a la Norteña -- this is what Owen ordered the first time we dined there. This is not a dish for the faint-hearted! The Red Iguana is not skimpy on portion sizes, so be warned! This dish was full of flavor and spice - the meat is cooked with bacon and then it is all grilled together similar to a fajita. 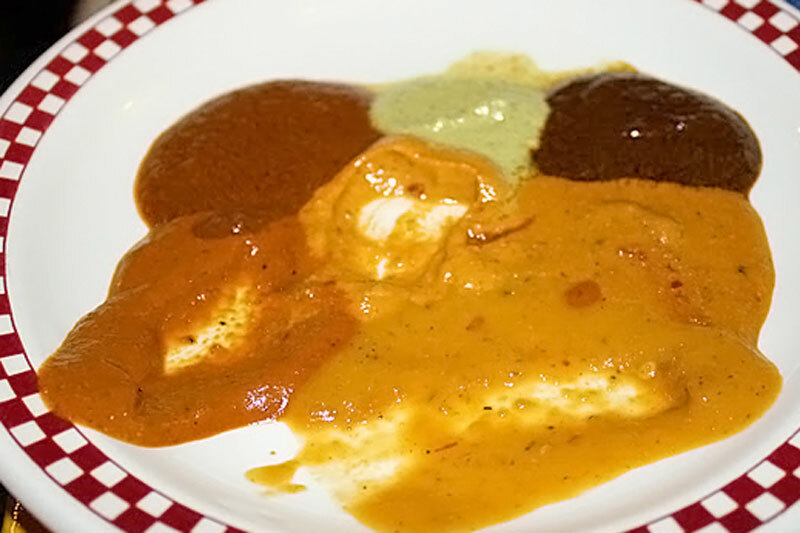 Served in one of their top notch mole sauces, a fantastic choice for a hungry night! The Tacos don Ramon. I have painfully pleasurable dreams about these. Now I have to throw out a little disclaimer - I was hesitant to try these at first because I had a bad history with chorizo growing up. The one time my dad made chorizo & eggs was hands-down the most disgusting, vomit-inducing meal he ever served us (and probably the ONLY disgusting meal he ever served us), and I haven't really brought myself around to trying chorizo since that time I was 11. Oh am I glad that I got over that inhibition just for these tacos! These tacos are the best kind of greasy you'll experience, and the avocado-lime sauce that accompanies them perfectly balances the flavor. Eat these or else you will not be a complete person. I would definitely recommend the horchata (my previous love for this amazing Mexican drink expressed here), and I got the peach virgin margarita which was pretty good -- even though it looked small, it lasted the whole meal which was nice. P.S. Free refills on the horchata, so it's definitely worth it! The fried ice cream was tasty, but nothing spectacular, so don't worry if you miss it. We've also tried some other dishes, all of which did not disappoint! Juicy, not too sweet, served with corn or flour tortillas. Amazing. 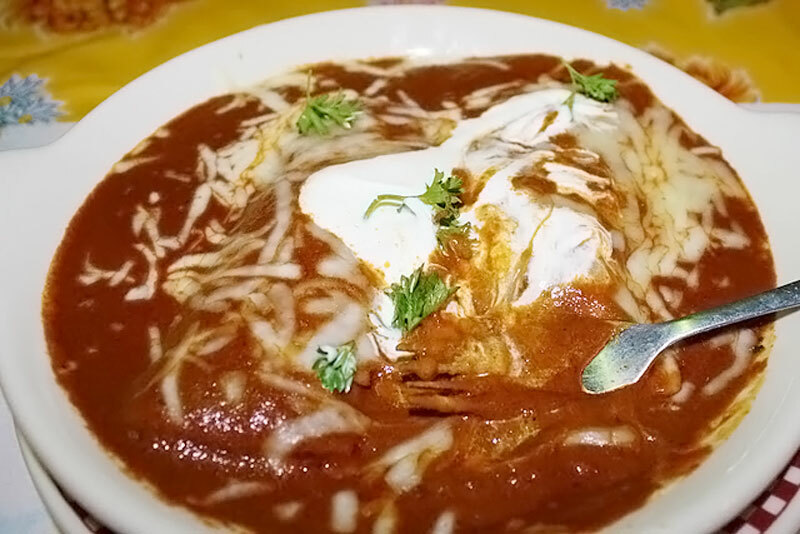 You really can't go wrong with any type of enchilada here. I'm not a huge beef fan, but Owen liked them well enough. However, if you're only going to go once or twice, we'd recommend getting one of the earlier-mentioned dishes. 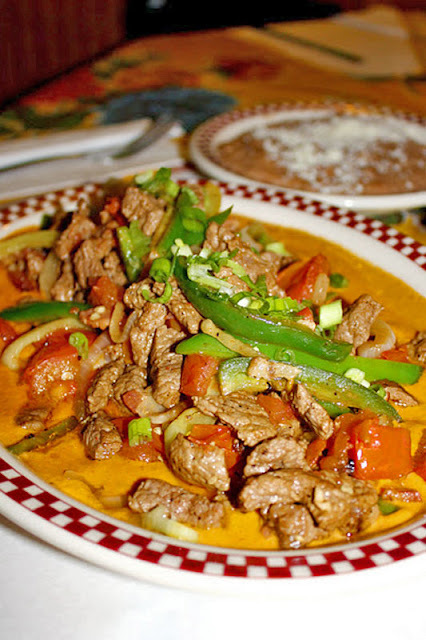 Their chile verde is also reportedly to-die-for. What You Should Do: GO RIGHT NOW! But only if it is an "off-hour." We've heard rumors that this place can get insanely busy, and since they don't do reservations, you can end up waiting up to 45 minutes. However, this didn't happen to us any of the 3 times we went, so maybe we just lucked out! But to ensure a perfect Mexican dining experience, try going for a late lunch or an early dinner. There is enough food to fill you up for two meals worth, so it works out great! This is a restaurant that totally lives up to the hype, if you ask me! You got my two favorites, the puntas, and the tacos don ramon. I noticed at City Creek at the Red Iguana express you can get the tacos don ramon as well. And thanks for plugging Horchata because it is the best drink ever!